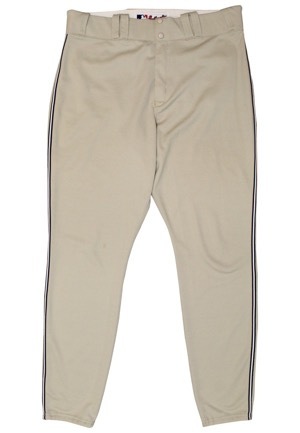 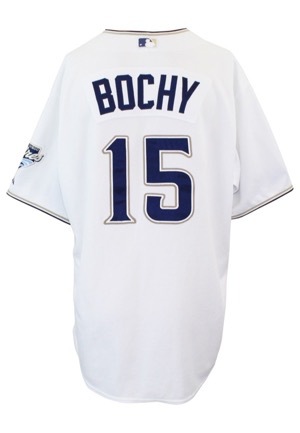 Future Hall of Fame manager Bruce Bochy wore these complete home, road and alternate uniforms during his tenure with the San Diego Padres. 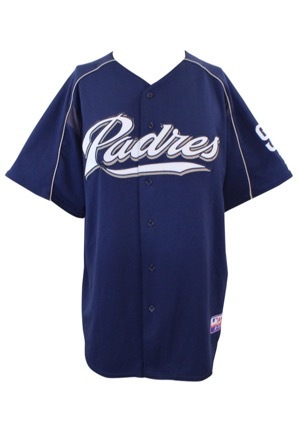 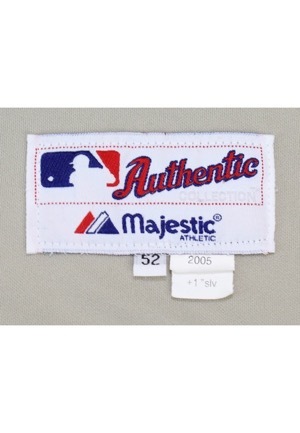 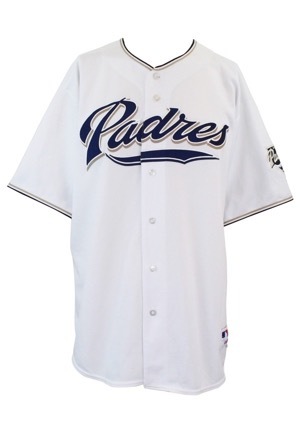 All jerseys are Majestic manufactured size “52” with a Padres team logo patch on the left sleeve. 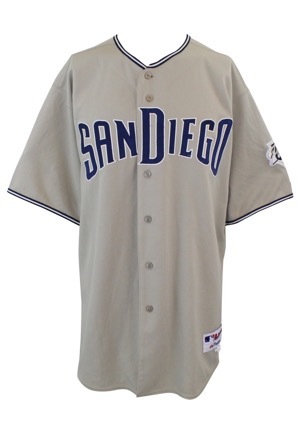 Across the chest reads either “Padres” or “SAN DIEGO”. 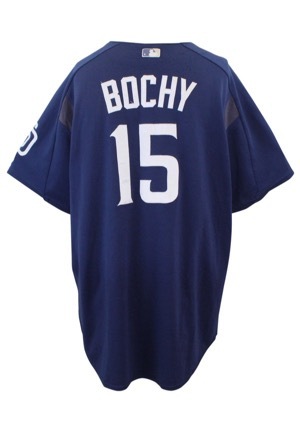 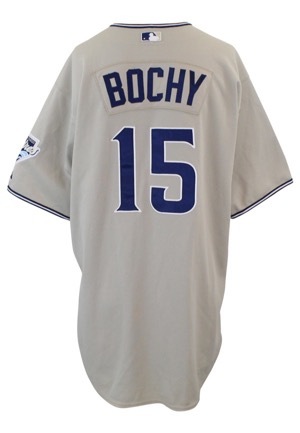 On the back of all three is the manager name “BOCHY” as well as his number “15”. 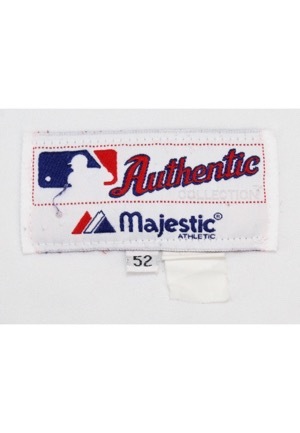 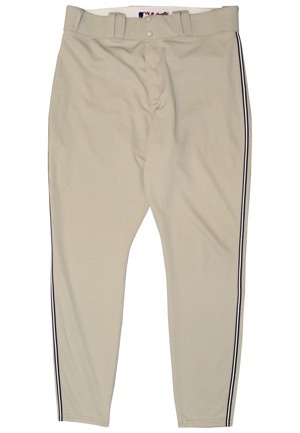 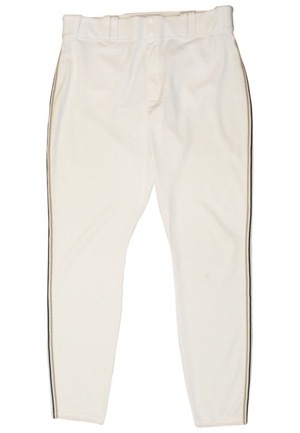 In the rear waistband of all three pairs of pants is a Majestic manufacturer’s tag and a strip tag reading “15 39-43 34 06” embroidered in black. 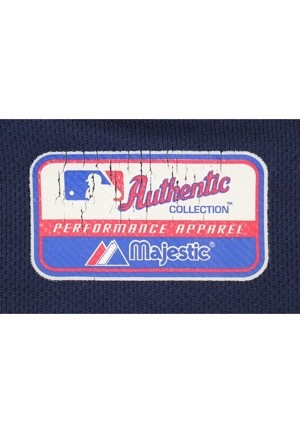 These uniforms are properly tagged, were presented to us as manager-worn and show use.